You can’t tell the difference in the emergency room. It happens when the hospital is ready to collect its money. Many of us have some type of health coverage. Blue Cross. Medicare. Tricare. United Health. You assume the hospital will first submit the bill to your health coverage provider. After all, you paid for the coverage. The hospital may even have a contract with your health provider requiring it to submit the bill. Yet, hospitals often treat accident victims differently. Instead of submitting the bill to insurance, the hospital files a lien directly on you (the patient). Think about it. You are hurt. You require emergency care. At the emergency room you give the clerk your insurance card. You receive needed medical care. Then, you leave for home assuming it is covered. Instead, the hospital slaps a lien on you for the full charges! 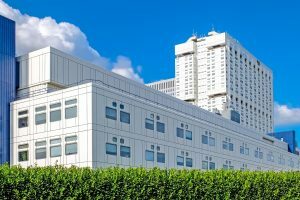 Why is the hospital filing a lien on you? The hospital is trying to maximize its income from your settlement or judgment proceeds. That’s why the hospital placed a lien on you. Why does it matter? After all, if your health insurer pays the bills then it has certain rights to get its money back from any settlement proceeds. You will likely be reimbursing someone for your medical care. Hospital liens can make a huge difference in many situations. Next time you see a hospital bill take a close look at the numbers. Hospital charges can be huge. Yet, hospitals typically accept a smaller amount from your health insurer to satisfy the bill. Many people believe hospitals charge exorbitant amounts knowing they will accept a smaller, reasonable amount. With a lien against you, the hospital is seeking the full (huge) amount rather than the smaller amount it would typically accept. In other words, you won’t get the benefit of an insurance company discount. That huge lien may be OK if the person who hit you has plenty of insurance coverage. Unfortunately, many Alabama drivers carry only the required minimum limits. If so, you may be left accepting small minimum limits to settle your case only to pay a large portion of those proceeds back to the hospital. That’s a very bad situation — You settle your personal injury case simply to pay most of the money over to the hospital. If the hospital had honored your health insurance at the beginning, you would be keeping more of your settlement money. Your net recovery is the issue. If you settle your case, how much of that money must be paid back to hospitals, clinics and health insurers? Many billboard settlement mill attorneys never advise their clients on this issue. Many settlement mill attorneys never help their clients with hospital liens and health coverage subrogation claims. Yet, the effect of working on these issues can be huge for clients. Your attorney needs to work these issues for you. In accident and injury cases, many hospitals in northern Alabama (and elsewhere) have begun filing liens against their patients. It’s a practice we believe is unjust where the patient possesses health coverage that should pay the bill. You need to understand this practice and the practical steps available to help your net recovery. If you find yourself dealing with a hospital lien as a result of a personal injury from a car accident, seek experienced counsel who can help.